two Jewish organ recipients to hear their personal stories. 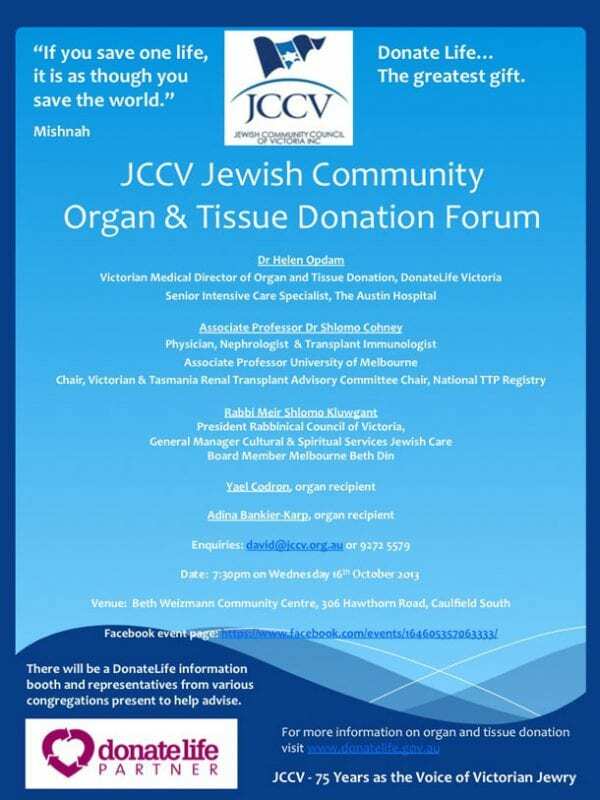 Nina Bassat AM, President of the JCCV said, “It is important to discuss your decision regarding organ and tissue donation with your family, because even if you register your wishes on the Australian Organ Donor Register, your family will have to confirm your decision before any donation can proceed. At the forum, there will be information booths with representatives from various congregations and experts from DonateLife present to help people who may have detailed questions.